This wallet is great! It has enough room for everything I need to carry on a daily basis. I love that it has room for cash along with cards as well. The color was exactly how it was pictured online. Whether you like to carry your entire life in your wallet or just keep essentials perfectly organized, we have the ideal wallet for you. Pockets/Slots/I.D. Window: Pockets/Slots/I.D. 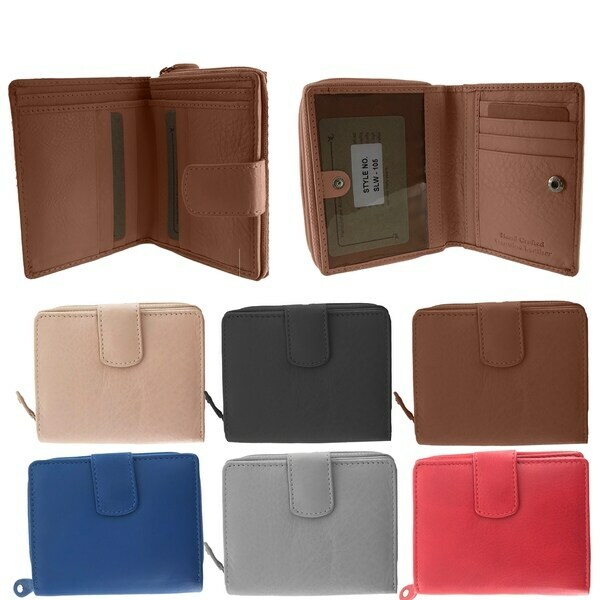 Window: One bill compartment divider in zipper coin purse, hand-aligned credit card slots. Side Fold Window ID. All weights and measurements are approximate and may vary slightly from listed dimensions. Dimensions 5.0 In. X 4.0 In. X 7.0 In.